It is very, very hard to make soul that captures soul and R&B's heyday. The chief reanimators are NYC's Daptone Records and their stellar house band the Dap-Kings. This group has been responsible for such noted soul revivers as Charles Bradley, Sharon Jones, and the artist who brought the soul revival to the masses, Amy Winehouse. Saun & Starr are the latest to get dapped. "Hot Shot" is pure Daptone gold, and therefore, some of the truest soul being made today. 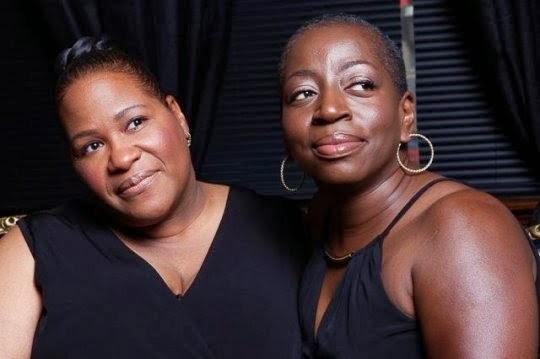 Saun & Starr have been Sharon Jones's back-up singers for years, and now, in a trend that may or may not have been sparked by this years' Academy Award winner for Best Doc 20 Feet From Stardom, they are making their way into the spotlight. And rightfully so.